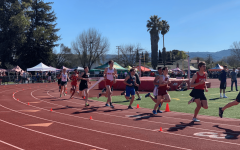 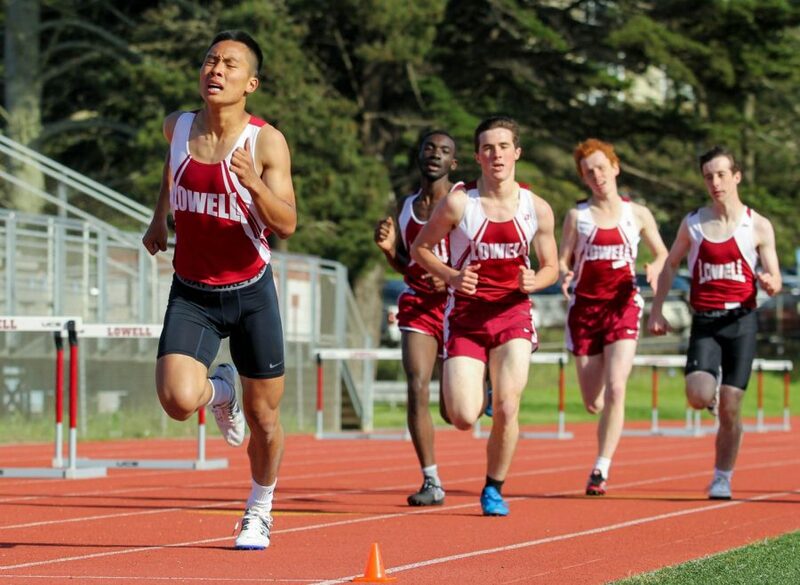 Senior distance runner Henry Lei leads a pack in the 800m followed by juniors Nathan Chamberlain and Godfrey Obiero, senior Beck Johnstone and sophomore Dakota O’Brien. 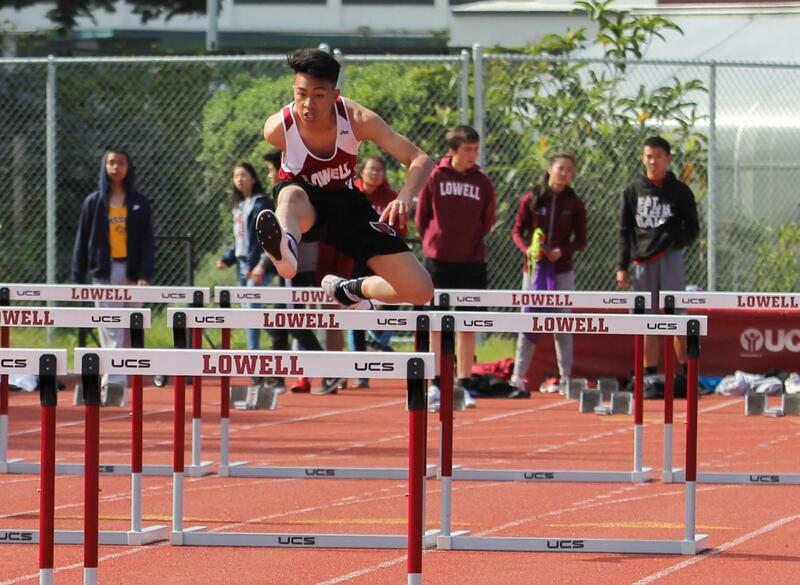 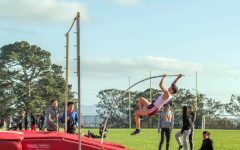 Sophomore sprinter Miguel Santos leaps over a hurdle in the 110m intermediate hurdles. 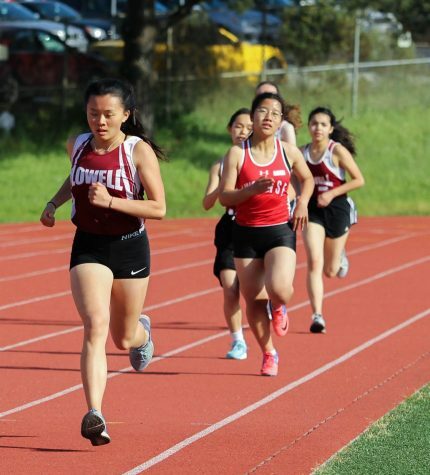 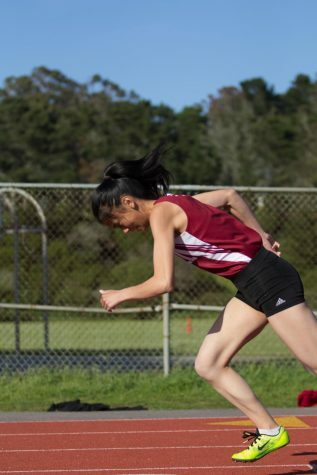 Senior sprinter Emily Liu comes off the starting block in the 200m. 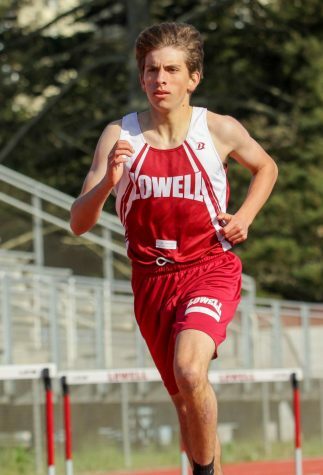 Junior Luke Woodhouse ran the 800m and finished with a time of 2:29.66. 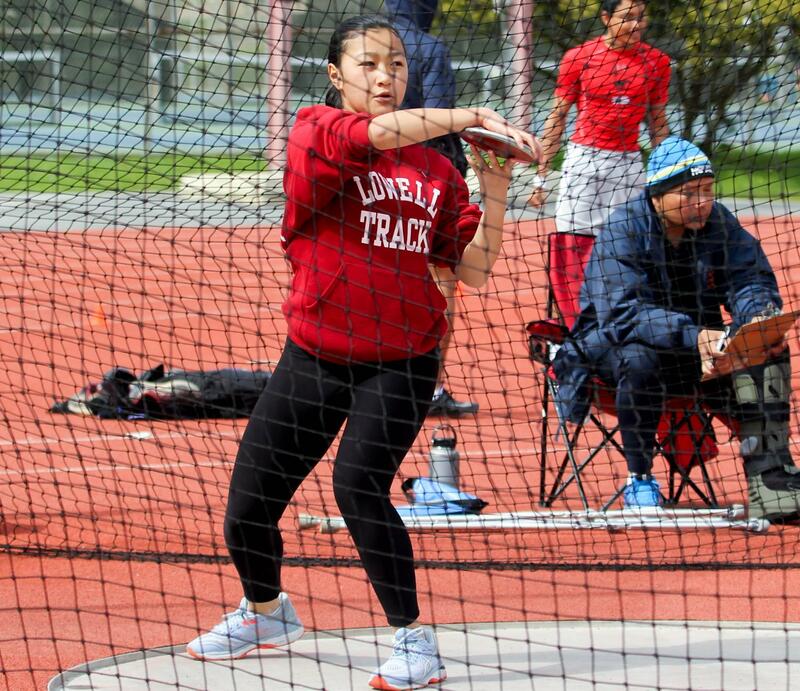 Junior thrower Alexandria Singer gets ready to throw the discus. 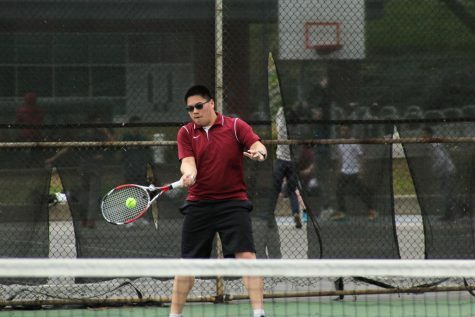 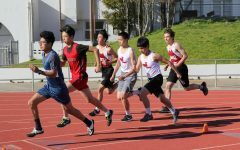 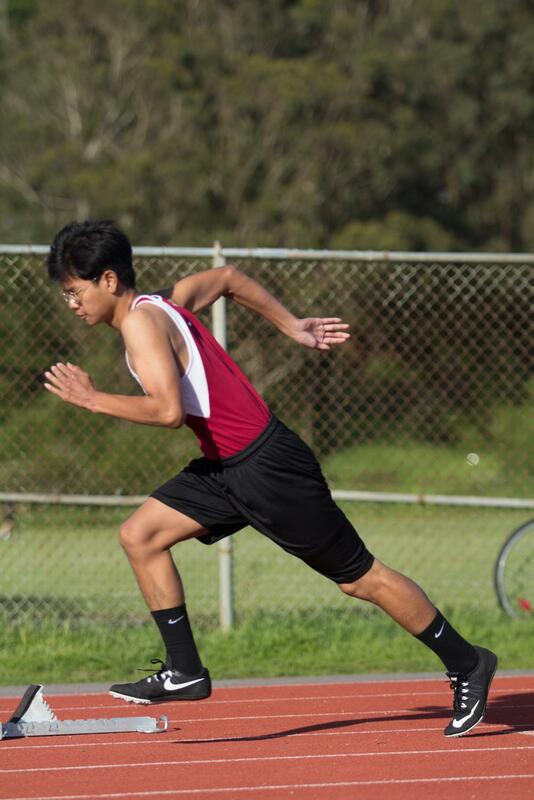 Freshman sprinter Andy Truong at the beginning of the 200m race. 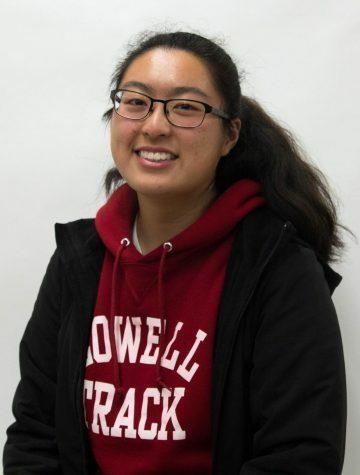 Senior sprinter Kathleen Mai finished the 800m with a time of 2:51.78.